Eric G. Baird, MD is a board certified general surgeon and a Fellow of the American College of Surgeons. He specializes in all aspects of general surgery including advanced laparoscopic, robotic, gastroesophageal reflux disease (acid reflux), gallbladder including single incision techniques, GI tract and breast cancer, hernia, acute care, and trauma surgeries. Dr. Baird performed the first single incision gallbladder removal using a robot in southeast Idaho. He earned his bachelor's degree from University of Wyoming and his medical degree from Creighton University School of Medicine in Omaha, Nebraska. He completed his internship and a five-year residency at Creighton University School of Medicine. During his residency, Dr. Baird completed a six month rotation in Lancaster, England. He was elected into the prestigious Alpha Omega Alpha Honor Medical Society in which he is still an active member. Dr. Baird is also a member of the Society of American Gastrointestinal Endoscopic Surgeons, the Idaho Falls Medical Society, and the Idaho Medical Association. He has served in many medical staff assignments including Chairman of the Department of General Surgery and Medical Staff President, and has been in practice in Idaho Falls since 1996. Dr. Baird is a licensed pilot who enjoys traveling, scuba diving, motorcycling, and spending time with his family. David J. Chamberlain, DO, FACOS, FACS is a board certified general surgeon and a Fellow of the American College of Surgeons and the American College of Osteopathic Surgeons. He has particular interests in advanced laparoscopic surgery using a Davinci robot and traditional techniques. He practices acid-reflux, GI tract including colorectal, breast cancer, hernia, endoscopic, and gallbladder surgery including single site, minimally invasive techniques. He earned his bachelor's degree from Idaho State University and his medical degree from Des Moines University. He completed his internship and residency at Des Moines General Hospital in Des Moines, Iowa. 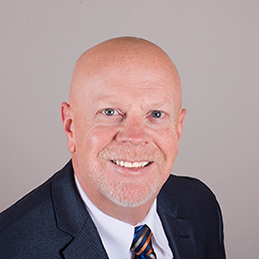 Dr. Chamberlain has held numerous positions including general medical staff president, associate professor at several medical schools, and clinical preceptor of medical and physician assistant students. 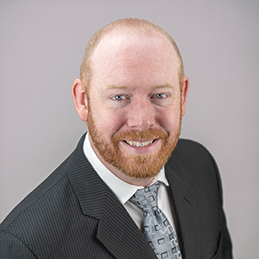 Dr. Chamberlain is a member of the Idaho Medical Association, the American Osteopathic Association, the American College of Osteopathic Surgeons, and the American College of Surgeons, and has been in practice in his home town of Idaho Falls since 2000. Dr. Chamberlain’s personal interests include water and snow sports, hiking, hunting, fishing, spending time outdoors with his family. Brad D. Smith, DO, FACOS is a board certified general surgeon and a Fellow of the American College of Osteopathic Surgeons. He has particular interests in laparoscopic biliary (gallbladder), colorectal, and hernia surgery. He earned his bachelor's degree from Brigham Young University and his medical degree from Des Moines University. He completed his internship at Traverse City Osteopathic Hospital in Traverse City, Michigan and his residency at Des Moines General Hospital in Des Moines, Iowa. He served as the general surgery residency program director at Mercy Medical Center in Des Moines, Iowa from 1999 to 2005. 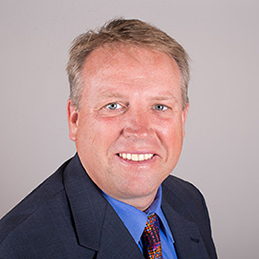 Dr. Smith is a member of the Idaho Medical Association, the American Osteopathic Association, and the American College of Osteopathic Surgeons, and has been in practice in his native southeast Idaho since 2006. In his leisure time, Dr. Smith enjoys family, fishing, and horseback trail riding in the mountains. Brodi B. Smith, DO, is a board certified general surgeon and Advanced Trauma Life Support® instructor. He is certified by SAGES in fundamentals of laparoscopic and endoscopic surgery. 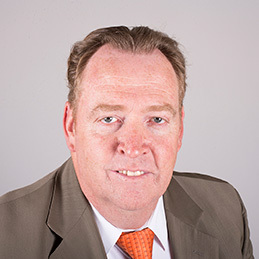 He enjoys several aspects of a well rounded surgical practice to include: biliary (gall bladder), breast, colorectal, and hernia repair with both advanced laparoscopic and da Vinci robotic techniques. He earned his bachelor's degree from Brigham Young University - Idaho and his medical degree from Des Moines University. He completed his residency at Mercy Medical Center in Des Moines, Iowa. He has served as associate professor of surgery at Des Moines University and participated on the trauma committee at Mercy Medical Center. He is a member of the American Osteopathic Association and the American College of Osteopathic Surgeons. Dr. Smith enjoys hunting, fishing, marksmanship, and camping with his family.